Enrolment is now open for the Trimester 2, 2019 offerings of the four programs that offer a pathway to HEA Fellowship at Griffith. Find out more about the Griffith 2019 scheme and how to apply. We facilitate positive professional identity and capability to enable our remarkable educators to be the best they can be. We build leadership for learning to enable our University to be the best it can be, and we stimulate innovation to enable our educators and students to go beyond ‘business as usual’. 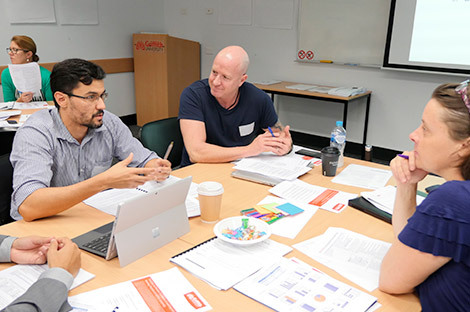 We connect Griffith’s innovators to enable our University to be an authentic learning organisation and we design and align our enterprise ecosystem to enable impactful learning at scale. Our culture fosters fresh and future-focused thinking and supports our educators and students to innovate using evidence-based, technology-enriched and collaborative practices. 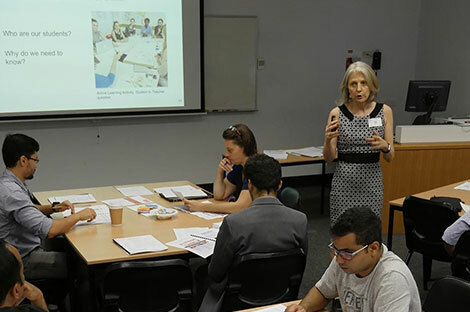 The Griffith Learning and Teaching Capabilities Framework makes explicit the individual capabilities underpinning our roles in learning and teaching. We can use the Framework to reflect on the strengths of our learning and teaching capabilities and to discuss and plan learning and teaching practice enhancement, career development and professional learning. The Academic Calibration Process (ACP) is a process of external, discipline-led academic peer review that is undertaken in collaboration with other Innovative Research Universities (IRU). The process offers you the opportunity to engage in a collegial and constructive process that can improve learning and teaching quality. The Tech EcoSystem is an interactive tool that lets you browse or search for teaching strategies and approaches and the technologies that can support their implementation. 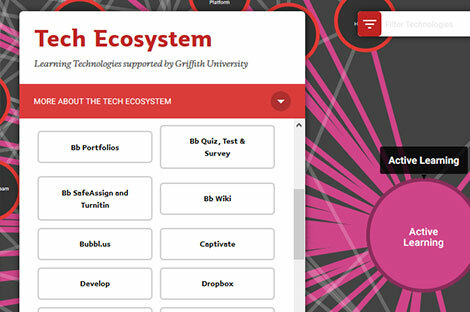 All of the technologies included in the Tech EcoSystem are approved for use at Griffith. The CYO (Create Your Own) Video Studios are available for you to use to produce high quality video content for learning and teaching. These easy to use studios are fully automated, and training and support is available to help you get the most out of the studio. The studios are located at the Gold Coast, Nathan, South Bank and Mt Gravatt campuses.